Preschool science experiments and fine motor skills activities have been released on Kids Activities Blog. Let the kids have a blast discovering the wonderful world of science. Let the kids rescue dinosaurs from the frozen ice with salt. 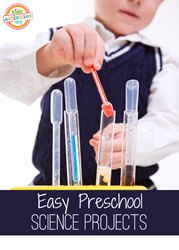 Preschool science experiments are perfect for three or four year old aspiring scientists. Science experiments and fine motor skills activities have been published on Kids Activities Blog. Science experiments are fun and eye grabbing which provide perfect ways to slowly introduce them to the world of science. Among the many ideas are candy science experiments, growing crystals on rocks, and lime juice and baking soda experiments that can turn into masterpieces. Frozen bubble experiments and color changing milk activities top the list. Let the kids rescue dinosaurs out of frozen ice with salt. They will love this experiment that combines action with science. Discovery bottles are always fun for toddlers. I Spy bottles, telephone bottles, and customized water bottles are a great tool for learning new things. 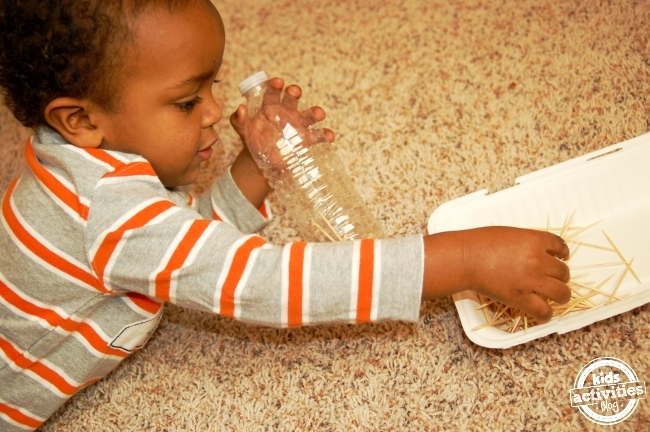 An empty clean water bottle can make a great discovery toy for kids, too. Simply make a hole in the water bottle lid with a screw. The hole should be a bit larger than a toothpick. Provide a bowl with a handful of toothpicks and ready is the fun game. Supervise the toddlers when handling the toothpicks. Let them have fun finding the opening and letting them be amazed at the accumulated toothpicks. The bottle with the toothpicks will sound like falling rain when shaken. For detailed instructions and to get additional fun ideas, check out Kids Activities Blog this week. Come get inspired to have a blast while learning essential life skills.